In 2010 the Bureau of Labor Statistics estimated that over 1.2 million people worked as delivery truck drivers. While much smaller vehicles than other commercial trucks such as semi-trailers or dump trucks, these delivery vehicles can be up to 26,000 pounds of gross vehicle weight and still can cause severe damage when they are in an accident. These drivers have pressure to deliver their loads quickly, and many have little or no additional training on driving safety. Delivery drivers can work in a wide variety of industries, from delivering retail goods to mail or packages. They may be bringing food and beverages to grocery stores or restaurants, working for a package delivery company or transporting products to job sites. What they all have in common is that they are generally on a tight delivery schedule and must keep up the pace to stay on track and maximize company profit. 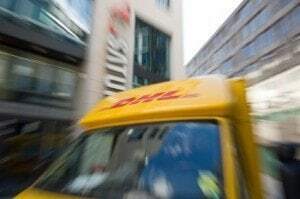 Today, there are several large players in the commercial and consumer delivery business including United Parcel Service (UPS), Federal Express (FedEx), DHL and United State Postal Service (USPS). Lack of training. According to the Bureau of Labor Statistics, most delivery drivers receive less than a month of training, unlike large truck drivers. Delivery areas. These smaller trucks deliver goods on busy city streets and in residential areas, having more exposure to pedestrians and bicyclists. Parking. Many delivery trucks are forced to park in the street or double-park to reach their destinations. This action can mean quick stops and starts, putting other people around them at risk. When these delivery trucks are involved in an accident, the companies that employ or contract these drivers are usually the ones to fight the claims. Many of these companies are large corporations that are well represented by lawyers and legal staff to keep accident payouts to a minimum. Although they have insurance on their drivers and vehicles, they have a vested interest in keeping the payouts as low as possible, as does the insurance company.